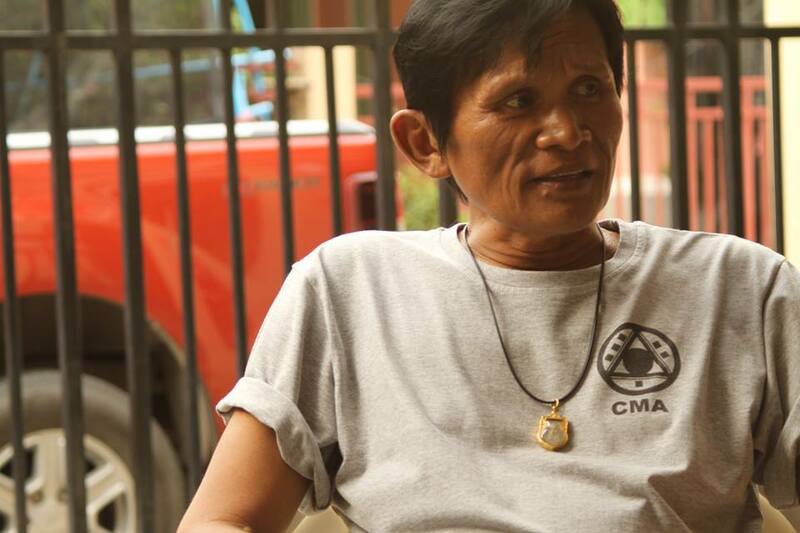 On July 20th, 2014, the legendary Master Panna Rittikrai passed away at the age of 53. 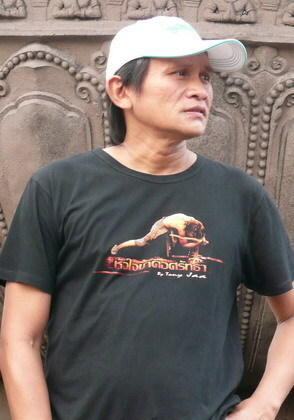 The Thai born stuntman and filmmaker had established himself as one of the world’s most beloved and respected action movie maestros, with his final film “Vengeance of an Assassin” released in Thailand last November. The film will soon make its debut in the English-speaking world, and give martial arts fans one final glimpse at the action-packed legacy of Panna Rittikrai. 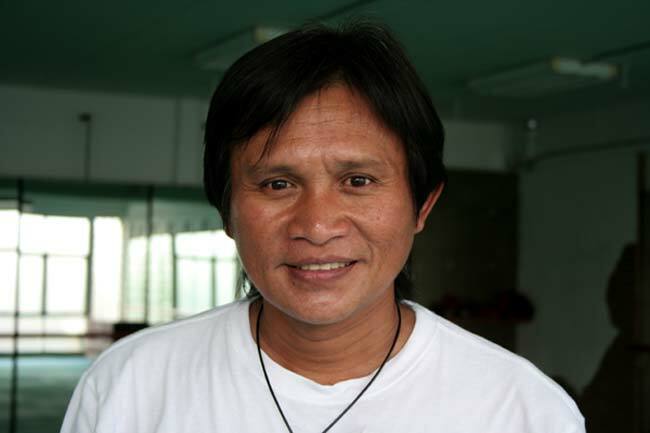 Panna’s career as a stunt performer had a particularly strong effect on a boy in rural Thailand by the name of Japanom Yeerum who you’ll know as Tony Jaa. After seeing Master Rittikrai’s 1986 film “Born to Fight”, Tony was inspired to follow in his footsteps becoming his stunt apprentice. The two men took the world by storm in 2005 with the film “Ong-Bak”, which dazzled audiences across the world with its phenomenal, refreshing action and stunt work. However, Master Rittikrai had another great student in the form of Marrese Crump, who holds the distinction of being the only foreigner to be taken on as his apprentice. 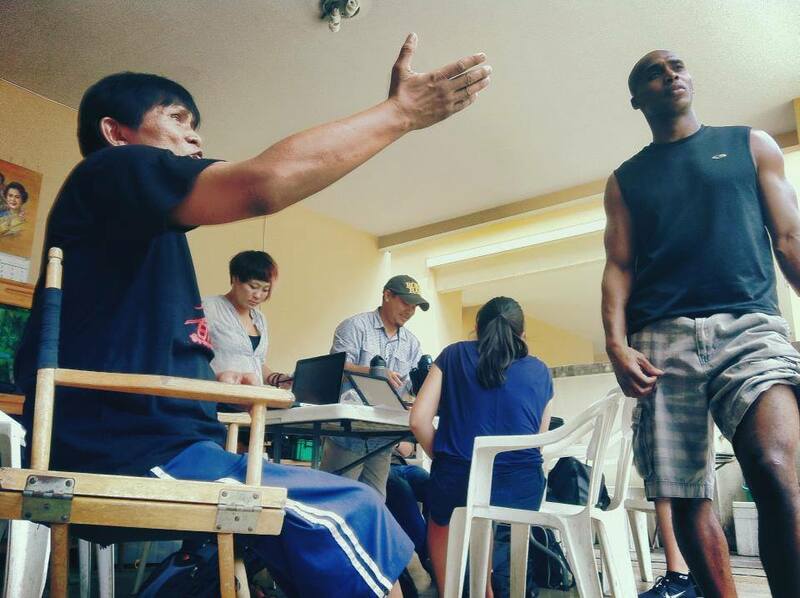 In 2013, Tony and Marrese appeared opposite one another in “Tom Yum Goong 2” and did their mentor proud. In this Kung Fu Kingdom exclusive Marrese reveals for the first time, his experience of coming under the mentorship of Panna Rittikrai, offering readers a unique glimpse into the kind of multi-dimensional training that he received under his illustrious mentor’s tutelage; the significant, undying bond they developed and more about the great man Panna himself. So, Marrese, great to have you with us again; let’s start by talking a little about Panna himself, who was his main inspiration and what kind of training did he have? Well, Bruce Lee was his biggest inspiration, anyone who knew Master Panna knew how much he loved Bruce Lee! He researched many martial arts styles. He combined so many elements into his art it’s incredible! He was constantly watching videos and movies over and over again just to get new angle of inspiration. He would also meet many masters and get further insight from them. He was a creative genius because he was dedicated to the arts and was constantly evolving. How did you first become Master Rittikrai’s apprentice can you briefly outline the story for us? Yes, feel the time’s ripe to tell this story. In August 2009 I reached out to the studio in Thailand for several months. I sent videos to them and wanted to see if I could be part of their action projects. 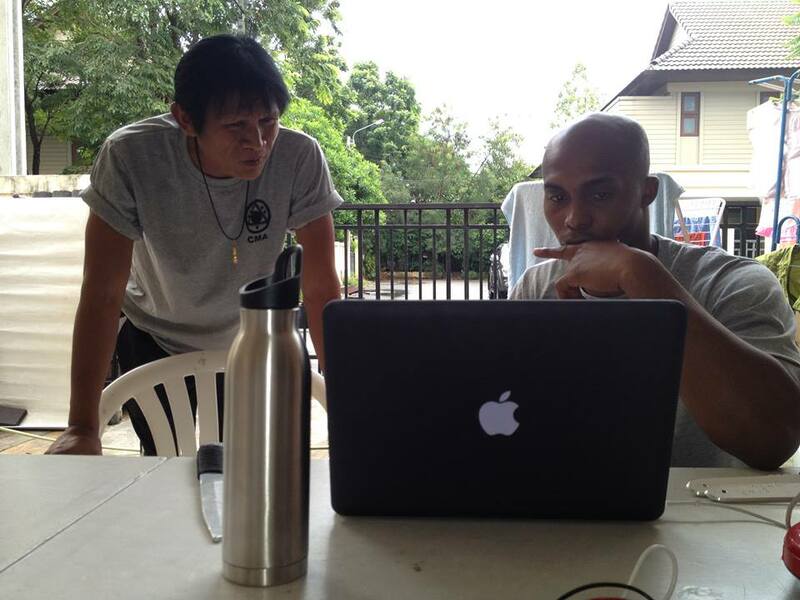 I ended up talking with Prachya Pinkaew who invited me to come to Thailand and meet with him and Master Panna in Bangkok. 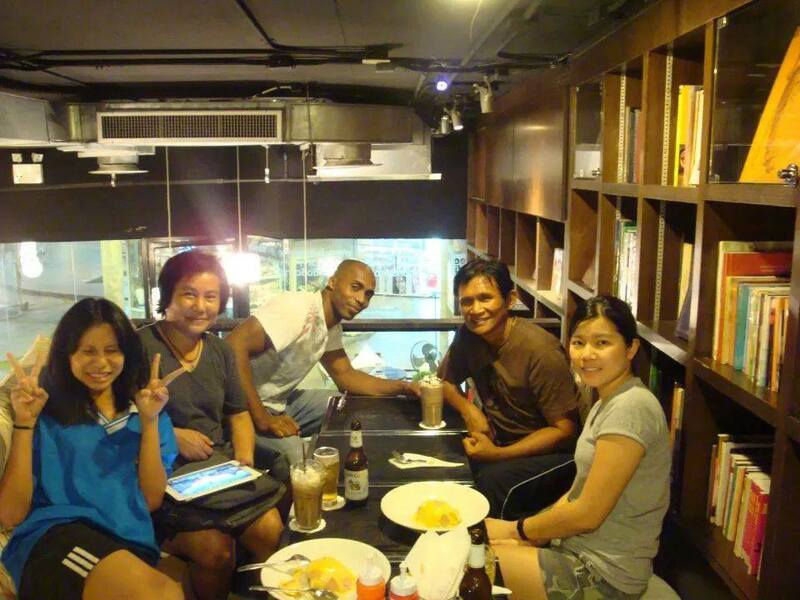 It was October 8, 2009 when I first flew to Thailand within two or three weeks of the phone conversation with Prachya. I sacrificed a fair bit because I actually did not have much money but I really believed in the possibilities, I followed my intuition, invested in the journey and went after a dream. On Oct 10th, 2009 I met Master Panna, it was my second day in Thailand and he asked me to perform some of my art for him, so I did. It was natural for me to explain and demonstrate my martial arts, then he smiled and said; come to my house tomorrow and we will begin, I was very honored and excited. How did your family and friends react when they learned you were to become Master Rittikrai’s apprentice? My mom and dad have always been supportive of me doing martial arts although some of my friends probably thought I was crazy, but when you have a dream you can’t let that bother you . You have to go with what you believe. What kind of preparation was necessary to be accepted as a student of Master Rittikrai? I think destiny prepared me by having great teachers and mentors, I think that prepared me for the day I met Master Panna. He was very happy that he could give me an idea or concept to work on and I would come back with new variations and more questions. He told me he wanted me to keep elevating my art and he’d help me design/make it for action so that the whole world can see it. What was the overall experience of being Master Rittikrai’s first non-Asian disciple? Master Panna always treated me like a son. We trained at his home, we ate together, just like family. One day he told me that many foreigners had tried to contact him after “Ong Bak” was a huge success, many people wanted to be his student so I was honored that he chose me and accepted me into the family. The training was always fun but strenuous; conditions in Thailand are much different than other places, most of our training was outdoors and for many hours each day and it’s very, very hot inThailand -you have to be strong and adjust to it. What kind of training did you undergo under Master Rittikrai and how was it different to typical martial arts training? Training under the sharp eye of Master Panna was always enlightening. He would make me do the same thing over and over again and then change one variable, then we would practice it 1000 more times. 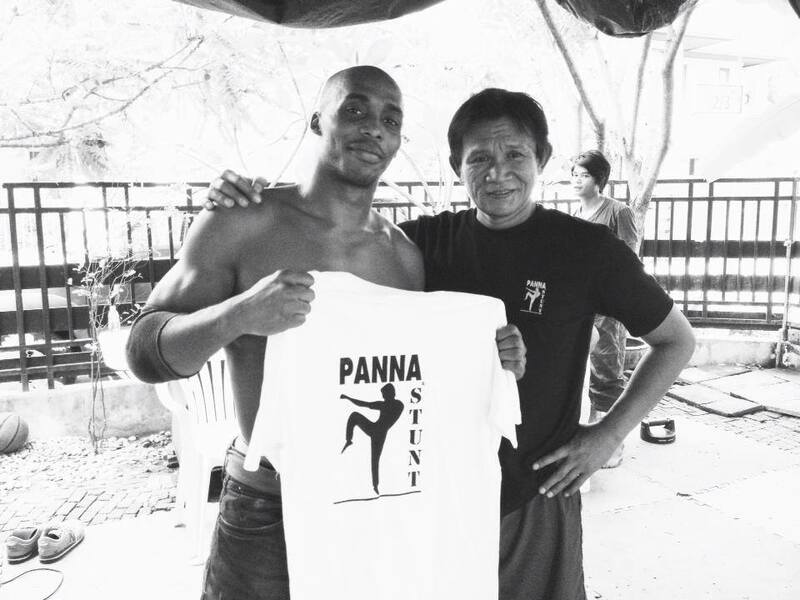 Master Panna was an artist and visionary, he was teaching me in the same way and always said “I will teach you but you have to trust me.” As a disciple I always remained humble because I knew being his only American protege required me to be teachable and maintain a high level of respect for my teacher. What would you say was the most difficult thing in training under him? Training would be very much like my martial arts training but the intent is different when practicing for action movies. The key is safety and protecting your training partners. Panna ‘s style is traditionally controlled impact but can also adapt to other styles depending on what kind of action we are creating. He believed in me but he expected a lot from me too. I had to be able to do every style, his style was much more than just Muay Thai, he knew a lot more than people would imagine and studied everything when it came to martial arts and filmmaking. One thing that I’d say was a challenge was traveling so much as I was traveling to Bangkok several times a year to study with Master Panna, so I would have to really train hard and make the most of my time with him every time I went there. From the time I met Master Panna in October 2009 until the day he passed (July 20, 2014). I would travel to Bangkok, stay for one month, sometimes several months to learn from him then I would fly back to Florida and continue practicing all the things he taught me. Mostly I practiced with only one or two people because at that time he wanted me to keep everything he was teaching me private. He felt that people who had not trained with him would take many of his innovations and creative ideas and use them in film projects and never pay respect which unfortunately is something we have seen happen over and over again. He was the kind of guy who gave credit where credit was due, something I respected a lot about him. There was even a point in my training in Thailand where he would not allow anyone to bring cameras around when he was training me creating new things because he wanted to keep these ideas secret until the right time for me to use them in future projects. So, I have tons of material that has been prepared for just the right project at just the right moment, it’s mathematical for me, it has to be right and exact. In addition, he would always say to me “We have to find your style, your signature”, so were building towards this for a long time. He kept saying, “When we find your style the art of Marrese Crump will be born.” When he would refer to finding your style he wasn’t just talking about martial arts styles, he meant finding your own expression, being yourself, giving birth to the artist within. You mentioned in our first interview with you last year that there were quite a few notes about certain choreographic innovations at Panna’s home that he talked with you about, can you tell us more? Master Panna was to me one of those legendary old masters who kept his secrets written on his personal scrolls private and I respect that. I was lucky enough that he shared his knowledge and ideas with me including some of his notes from the past and ideas for future innovations some of which we may never see now. I will say this though, he was very detailed and clear when designing new styles, he never for example just created one cool move. Instead, he would take his time developing an entire concept which he’d then refine and refine again until it was perfect, his notes he showed me this process. Did Panna say what new elements or skills he hoped and expected to see in action movies of the future? He believed that the human body, mind and spirit is the key to great action and performance. Being that we are practicing the art forms ourselves, he always wanted to see me perform action that was real and from my heart. He loved making his action as real as possible while maintaining safety at all times. It’s a different level, so it requires specialised training and tons of practice. Lucky for me I got it straight from the source. 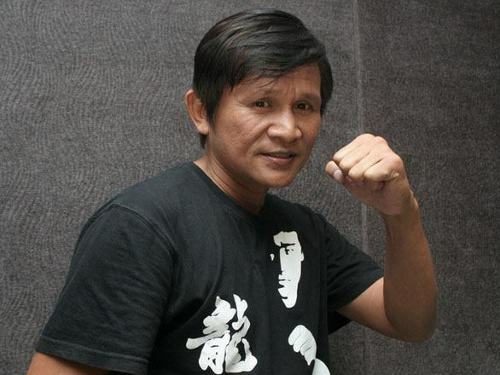 Master Rittikrai was instrumental in bringing action superstars like Tony Jaa, Dan Chupong and yourself, as well as others to the forefront, in light of his untimely passing last year how do you intend to spread the legacy that he shared with you? Just like him I want to continue making films also I teach Crump Martial Arts (CMA) self defence and self mastery. We are building a strong legacy around the world of improving people’s lives through the practice of the martial arts path. I am always training and teaching my students and I am also preparing some things for film that are in the process of building. So there will be another level up from what people saw in “TYG 2″/ “The Protector 2”, that’s the plan. Master Panna taught me to go step-by-step and to focus on quality. So, I always aim to follow his advice. Who else among the stuntmen and actors in the action movie industry have been most influenced by Master Panna as far as you know, who esteemed him the most? To be honest I have met so many people who respect his work, from fans to major Hollywood stars and producers they all love his work, his influence has made its mark. I intend to continue building on that energy. That is what he wanted me to do. 1) Assuming that you’ve seen all of his films, which of his movies do you feel deserve more recognition in other countries outside of Thailand? I would like to see all of his movies get more exposure. More importantly I would like for everyone to remember my teacher and honor him for his contribution to martial arts and film. 2) What are your favourite top 3 fight or stunt scenes, choreographed by him? I like “Ong Bak”, when we see the ancient Muay Thai form, the long take, going upstairs scene in “Tom Yum Goong” / “The Protector” and the movie “Chocolate” overall had great action. 3) What are your favourite action scenes featuring Panna himself and why? Overall I like the action in all his films. He always delivered powerful action! 4) What’s your impression of Master Panna’s last action-packed movie offering “Vengeance of an Assassin”? I have only seen the action sequences that he showed me at his house when he was filming. I really liked what he showed me and my buddy in the movie, Dan Chupong, is a great guy and super talented. Another favourite is the relatively unknown: “The Kick” which features some outstanding, creatively choreographed taekwondo-oriented moves -check this out! After all that cyclonic, frenzied action, let’s kick back and relax! On reflection now, regarding your experience under Master Rittikrai’s tutelage, would you say it changed you, if so, how? Yes it changed my life forever; the journey of being accepted and training directly under the watchful eye of a legend has given me more than I can can possibly express in words. What was the most memorable or outstanding thing he revealed to you? Master Panna would always say to me, “You will be big, all around the world people will know Marrese Crump trust me”. I was very humbled by this and I always train diligently everyday to try live up to the belief he had in me. It’s a big responsibility. What can you tell us about Master Rittikrai that no one else really knew? He was a loving guy, he liked to dance and was very funny. I had a lot of good times just hanging out at his house after training. What kind of philosophy did he live by? His philosophy was ” Mai Pen Rai” which in Thai means “It’s ok, no problem” or “Don’t worry too much”. He was very serious when it came to work, but he always would remind me to relax and enjoy life. What was one of his favourite warrior-wisdom quotes? What message do you think Panna would have liked to leave Kung Fu Kingdom readers? I think he would be happy to know that so many people love his work and respect him. He’d thank you for this interview and I also thank you for honoring him as my mentor. It’s been a real pleasure getting to know more about Master Panna, his vision and the legacy he’s left in you -we can’t wait to see how that unfolds so please keep us in the loop! Thanks Raj, and yes I shall do. Farewell, Berlin Wall coming soon!